This entry was posted on Monday, November 21st, 2011 at 9:47 am	and is filed under Astronomy, Cool Stuff, Space Exploration. You can follow any responses to this entry through the RSS 2.0 feed. You can leave a response, or trackback from your own site. 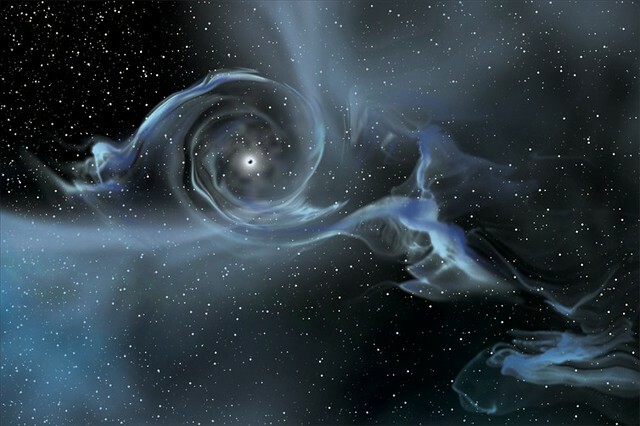 Black holes are the most mysterious celestial objects out there next to dark matter. I don’t care how smart our physicists are. They got to be saying to themselves, “WTF”! Love to hear about how scientists obtain their data. Seems like these days the data and images are from multiple sources. It’s great that the latest technology enables us to combine the data in a seamless way. This image of the Helix Nebula is a combined image using both the Hubble and Spitzer Space Telescopes. It’s one of my favorites. The shape is eerily similar to a human eye. Perhaps God’s eye?